I was absolutely delighted when INFORMS sent out an announcement last Friday that it was making available for free download the 12 Most Impactful papers published in the journal Transportation Science in its 50 year history. These papers are listed below in chronological order. According to the Transportation Science website: The selection was guided by the following principles. Even though overview and survey articles are important, valuable, and often highly cited, they were excluded. Highly cited papers (either in terms of total number of citations or in terms of number of annual citations) were prime candidates. However, the impact of an article is not always captured by the number of citations, so a few articles have been included because several editorial board members felt they needed to be. In the end, the articles represent most, but not all, the research areas that have contributed and continue to contribute to the success of the journal. Seeing the list of papers brought back so many memories and the list includes such major themes in transportation as traffic assignment and network equilibrium, location theory, network design, and vehicle routing, plus even pedestrian crowd dynamics. Below, I reflect on the impact of the papers as well as the authors I have met and some I have come to know very well. The first paper is: An Algorithm for the Traffic Assignment Problem, S Nguyen; Transportation Science 8 (3), 203-216, 1974. I met Sang Nguyen at the first conference I ever attended as a doctoral student at the University of Montreal. This paper, and those that followed, addressed algorithms for one of my favorite problems in transportation! The model formulated and solved was one in which you could reformulate the traffic assignment problem as a convex optimization problem. The second paper, On Stochastic Models of Traffic Assignment, CF Daganzo, Y Sheffi, Transportation Science 11 (3), 253-274, 1977, is another great classic. Carlos Daganzo was the recipient of the 2013 Robert Herman Lifetime Achievement Award in Transportation Science. He was also elected into the National Academy of Engineering. He has supervised numerous doctoral students, many of whom are good friends of mine. Incorporating stochastic elements into traffic assignment was a big innovation. Yossi Sheffi I have known for many years and I had an office down from him when I was at MIT in the Center for Transportation under the Visiting Professorship for Women program. I am also a big fan of his books, including The Resilient Enterprise. The last time that I saw Yossi was in Zurich, Switzerland, when he and I were both invited speakers at the ETH Risk Workshop on Vulnerability and Resiliency of Supply Chains in September 2013. The third paper on this list of classics is especially near and dear to me since it is by my PhD dissertation advisor at Brown University, Stella Dafermos: Traffic Equilibrium and Variational Inequalities, S Dafermos, Transportation Science 14 (1), 42-54, 1980. Here you can see who has cited this great paper. Seeing the list I had to reminisce since several of the papers I had co-authored with Stella and many others with my doctoral students as well as collaborators appear there. Below, in her memory, I have posted two photos of Stella. The first one below, was taken when I was with Stella at a conference in her beloved Greece, back in 1987. 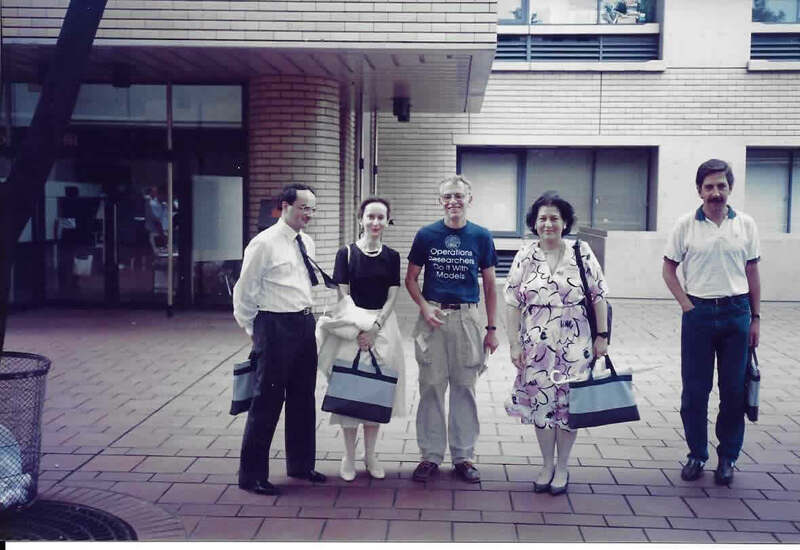 The second photo was taken at the International Mathematical Programming Symposium, August 28-September 2, 1988, in Tokyo, Japan. I am sure that many of you recognize that we are standing with George L. Nemhauser (more on George later in this post. Sadly, Stella passed away on April 4, 1990. Her legacy lives on. 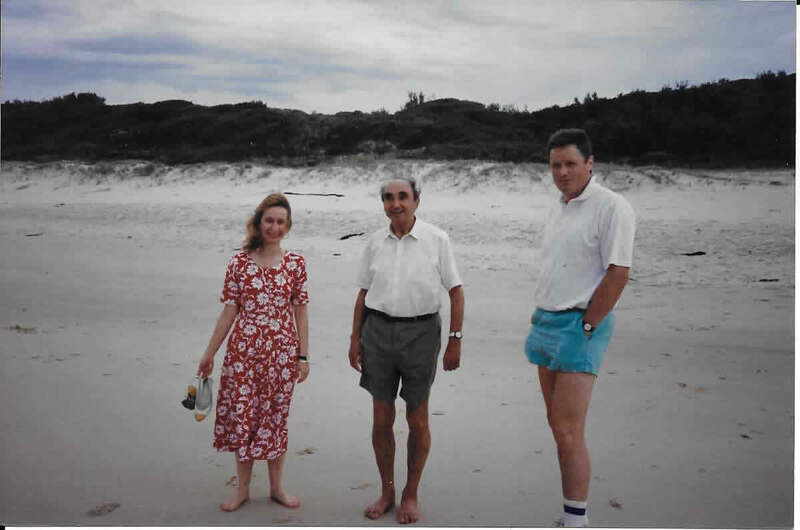 Since the above three papers were also influenced by the book, Studies in the Economics of Transportation, Beckmann, McGuire, and Winsten (1956), I had to include below a photo of myself with Beckmann (who was on my dissertation committee at Brown) on the beach in Australia, taking a break at one of my favorite workshops ever in Mallaccootta. This photo was taken in December 1992. Daganzo is not the only one with two papers on this esteemed list. A hearty congratulations also go out to Mark Daskin. He also has two, the first being: A Maximum Expected Covering Location Model: Formulation, Properties and Heuristic Solution, MS Daskin, Transportation Science 17 (1), 48-70, 1983 and the second paper being number 11: A Joint Location-Inventory Model, ZJM Shen, C Coullard, MS Daskin, Transportation Science 37 (1), 40-55, 2003. Mark is renowned for his work in location theory. I have served on several committees with him and also applaud him for his support of females in OR/MS! The second co-author in the paper above is a female. 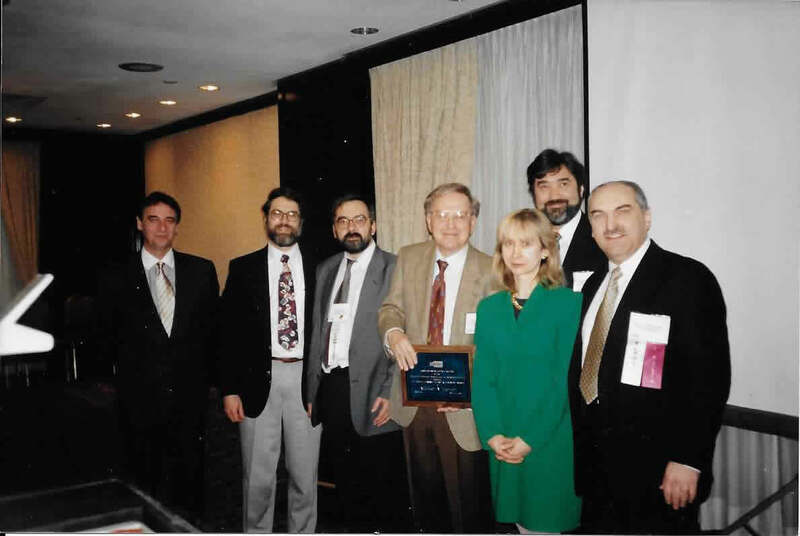 Below is a photo of Mark with transportation colleagues that many of you will recognize (Marius Solomon, Gilbert Laporte, Teo Crainic, and Hani S. Mahmassani). We awarded Michael Florian the Robert Herman Lifetime Achievement Prize that year. The next classic paper on the Transportation Science list is: Network Design and Transportation Planning: Models and Algorithms, TL Magnanti, RT Wong, Transportation Science 18 (1), 1-55, 1984. This paper as all the others on the list is fundamental and tremendously inspiring and, may I even say, useful! Tom Magnanti, another NAE member among authors on this list, needs no introductions. Wong was his student at MIT. Tom was a great friend and mentor to Stella Dafermos and continues to be to numerous colleagues in Operations Research and Transportation Science. The next paper was written by another co-author of mine: A Column Generation Approach to the Urban Transit Crew Scheduling Problem, M Desrochers, F Soumis, Transportation Science 23 (1), 1-13, 1989. 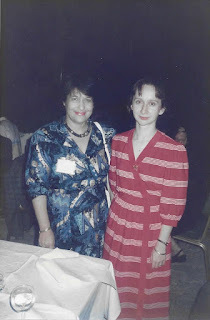 When I was a Visiting Scholar at the Sloan School at MIT in 1989-1990, I had the pleasure of interacting with Magnanti, Orlin, and so many faculty who are not only outstanding but so nice! Francois Soumis was also a visitor at MIT at that time and we wrote the paper: A Stochastic Multiclass Network Equilibrium Model, which was published in Operations Research. The next classic paper is: The General Pickup and Delivery Problem, MWP Savelsbergh, M Sol, Transportation Science 29 (1), 17-29, 1995. Savelsbergh and I were elected INFORMS Fellows in 2014 with some other wonderful colleagues. And, speaking of academic small world phenomenon, Savelsbergh is a co-author, with one of my former doctoral students, Dmytro Matsypra, of a paper on network design! Paper number 9 on this list is: A Tabu Search Heuristic for the Vehicle Routing Problem with Soft Time Windows, É Taillard, P Badeau, M Gendreau, F Guertin, JY Potvin, Transportation Science 31 (2), 170-186, 1997 . As I had mentioned earlier, vehicle routing is an extremely important class of transportation problems. 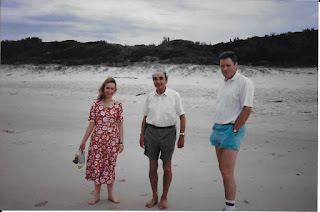 The third author, Michel Gendreau, I have known and enjoyed speaking to, going back to my days as an Assistant Professor. And, for his exceptional work, Michel, at our most recent INFORMS meeting in Philadelphia, was honored with the Robert Herman Lifetime Achievement Award. I took the photo below at the TSL meeting there. And for all of you who love air transportation, paper number 10 is: Flight String Models for Aircraft Fleeting and Routing, C Barnhart, NL Boland, LW Clarke, EL Johnson, GL Nemhauser, RG Shenoi, Transportation Science 32 (3), 208-220, 1998. What a terrific group of co-authors! Nemhauser, I have already mentioned earlier, and the first author is Cynthia Barnhart, who is now the Chancellor of MIT. She is a member of the National Academy of Engineering, as are Ellis Johnson and George. Both Cynthia and Ellis we had the pleasure of hosting at the Isenberg School through our great UMass Amherst INFORMS Speaker Series. The photo below I took of Cynthia after her talk with our wonderful students at that time back in 2005. Below is a photo of Ellis Johnson after his presentation at the Isenberg School in 2009. My colleague, Senay Solak, was a doctoral student of his at Georgia Tech, and continues to work on airline problems. And since Nemhauser is a co-author, below I have posted a photo from last year's INFORMS Computing Society conference at which he gave a great keynote talk. The twelfth paper on the list is: Self-Organized Pedestrian Crowd Dynamics: Experiments, Simulations, and Design Solutions, D Helbing, L Buzna, A Johansson, T Werner, Transportation Science 39 (1), 1-24, 2005. I know the first author of this paper, since not only was he with Sheffi and me at the ETH Zurich Risk Workshop, which he was involved in organizing, but, last March, he was one of my hosts when I gave a plenary talk in Berlin, Germany! Below is a photo of Dirk Helbing at the workshop in Berlin last March before his talk. Congratulations to all the authors of these classic papers and thanks for the opportunity to walk down Memory Lane!